On Tuesday March 11, 2014 at 6:00pm, there will be a public listening session at the Mardak Center (1558 N. 6th Street in Milwaukee) to allow the public to provide input to the Cultural and Entertainment Needs Task Force. At this session the 48-member committee will be listening to input from the public on metropolitan capital needs (hint – a new arena) and how to pay for such a project. As Bucks’ fans, we strongly encourage you to attend, if only to show the committee that people are interested in the future of the team in Milwaukee. Our spokesman Paul Henning will be there, and afterwards there will be a SaveOurBucks viewing party of that night’s Bucks game against Minnesota at The Loaded Slate. For more information, check out the Facebook page we have set up for the meeting. For those who are not able to make the meeting, do not despair. We are likely only in the second inning of a nine-inning ballgame. This is going to be a long-process and not something that is going to get decided in the next six-months. While the 2017 deadline set by the NBA for the Bucks to have a new facility is a real threat, the building does not need to be constructed by that date; the Bucks just need to have approved and firmly in place the plans for a new facility. They can always reside another year or two in the BMO Harris Bradley Center if needed while construction is completed on a new building. With that overview, we’d like to note some things to watch for in the near future as it relates to a potential new home for the Milwaukee Bucks. We’ve all heard the caller on the talk show who proclaims “Let the Bucks leave town, I won’t miss them” or the local politician who has already proclaimed “I’m not supporting any public money for a new arena period! Herb Kohl can pay for that himself!” Don’t let those comments impact your mood, here’s why: These people don’t even know exactly what they are opposing yet. With any major construction project, whether public or private, there first has to be a vision cast of a new building, otherwise how do we know what to support or oppose? The plans, the location, the potential uses of a new building and Senator Kohl’s potential contribution, among other things, are all still unknowns at the moment. Until we have that information there really isn’t anything to discuss, hence we question the depth of the opposition right now. Further do not get worried about lack of support at the moment for a new building. There is nothing to support just yet other than the concept of a new building. The specifics of the project are very important. 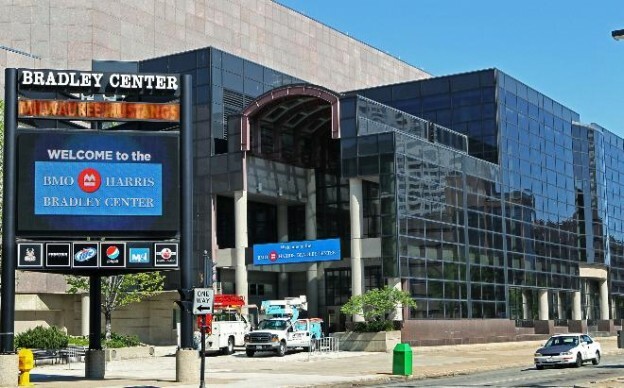 For most people living in the Milwaukee Metro area, their only reference point for a public arena is the BMO Harris Bradley Center. Thus when they think of a new facility the visions that come to mind are of a dark, antiseptic building, located in an area of the downtown that isn’t exactly thriving. They think of the tiny blue seats, the extreme pitch to the floor of the upper bowl, poor site-lines and the sterile concrete lobbies. That’s the “vision” that most people have in their minds of a new arena, and unfortunately it isn’t a helpful thing for the moment. The Bradley Center was a poor building from the start. 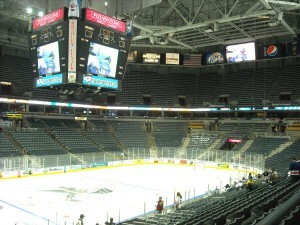 While Milwaukee was grateful for the gift from the Pettit’s for the facility, the building was commissioned by Lloyd Pettit primarily to allow him to obtain an NHL franchise for Milwaukee. After the building was built prices for NHL expansion teams skyrocketed, and for Pettit the concept of an NHL team in Milwaukee was not financially feasible. In the meantime our local basketball teams, the Bucks and Marquette University, were stuck with a building that wasn’t conducive for basketball. One of the major components still to come are the artist’s renderings of a new facility and ideas for the design. These are in process right now with the Hammes Company, a Wisconsin based worldwide developer of sports stadiums, that has been hired by the Milwaukee Metropolitan Chamber of Commerce to help advance the process. We are confident that Hammes will present some compelling options as it relates to the suggested design, seating layout and capabilities of a new building. But until there is a plan (and estimated price tag) for a new facility, it is premature for anyone to deeply oppose or even support a new building. The second key component to the plan will be the location of the facility. Again, there has been almost zero public dialogue on where to locate a new facility. We are certain these discussions are taking place back-channel right now, but until they are made public, there is nothing to debate. When we have an actual design and location then the conversation will begin to take shape, since at that point there would be something for people to get excited about. Right now, all we have are people’s pre-conceived notions of a new building, again dominated by what they know of the Bradley Center. We’d encourage people to think outside the box as it relates to the location. Most assume the proposed location will be somewhere in the vacant “Park East” corridor, to the north of the current arena. We’d hope there would be a serious attempt to look at the feasibility of a new structure closer the lakefront and Summerfest grounds. 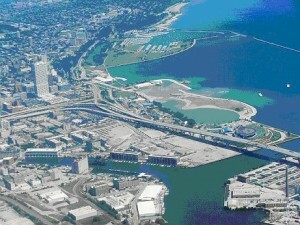 Much of the marquee downtown development is already at the lakefront area or headed there. Whether we are talking about the already existing Calatrava addition to the Art Museum, Pier Wisconsin, the new Northwestern Mutual Life Insurance Office Tower or the proposed Couture, this is the area where people want to be. Putting a new arena among that development and within walking distance of the Summerfest grounds could provide some great synergies and perhaps garner some additional support for the project from the general public. Wherever the building is proposed to be located, we’d hope the location isn’t chosen to help support someone else’s failing pet project, development or special interest. We still think the Brewers and Bud Selig missed out on a great opportunity to locate Miller Park downtown. The politicians have been lining up the past six-months for their turn at the microphone to oppose any public funding for a new facility. While the political opposition is going to be intense due to the legacy of the Miller Park fight and George Petak recall, some of this intensity right now is due to the fact it is an election year. Neither party wants to step forward and announce any type of conditional support for anything, as it then provides their opponent in the Fall with an issue to run on. As a matter of fact, there has been speculation that any concrete plans for a new facility won’t be released until after the election is over. As Rich Kirchen of the Business Journal noted in his recent story, MMAC chairman Ted Kellner predicts an arena proposal won’t be ready until 2015. As anxious as Bucks’ fans are over the future of the team, political realities are going to mean things will progress slowly here in 2014. We’ve written a great deal about Kohl’s historical involvement with the team on the basketball side of things. He’s also going to be the key player here in certain respects that will be critical to the timing and success of any new facility proposal. First, how much might Kohl donate towards a new facility? He’s come out on record as noting that he will make a “generous contribution.” However, until that number is known, the arena debate will be lacking a critical component. The term generous can have many meanings. It could be the $25 million that Kohl donated to the Kohl Center in Madison or it could be as high as $150 million dollars or more. Our guess is that even Kohl doesn’t know at the moment how much he’d contribute, as he’s waiting for the process to continue to play out. Secondly, Kohl has to evaluate whether or not he will sell control of the team before the arena debate enters the middle innings, or wait until after a new facility is built. Arguably Kohl may have to find a new buyer before anything could be finalized on a new proposal. People are not going to go to bat for a new building unless they are assured that there is a new ownership group in place to negotiate a long-term lease with that will keep the team in Milwaukee. A further factor is political. There are a number of politicians that will not be willing to lend any support to a new facility as long as Kohl owns the Bucks. Kohl was a Senator for 24 years, and even though many GOP politicians get along with him personally, it could be detrimental with certain of their constituents to offer even tepid support for a new facility if Kohl is viewed as the primary beneficiary. Finally, there is a sense of “Kohl fatigue” in the community as it relates to his running of the team. It may take the fresh face of a new owner to provide the excitement needed to move the project forward. 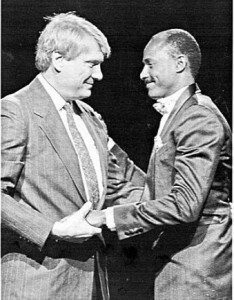 Knowing Kohl as we do, if one had to guess, he’d perhaps like to sell a large minority interest in the team to an new investor (Junior Bridgeman?) to raise liquid cash for a contribution towards the cost of a new building, while at the same time having a “co-owner” who could purchase Kohl’s interest in the team sometime down the road. However, if Kohl desires to walk this limited sale path it may be problematic to any arena discussions due to the factors outlined above. It will all depend on the who the investor is and how much control in operations they might obtain. What we’ve tried to convey above is the fact that the arena discussion is really a process that is going to take time. Bucks fans should by all means try to attend the listening session this week, but recognize that we are just beginning on a journey that likely will last two-years. There is nothing concrete on the table right now for us (or anyone else) to support just yet, other than the key concept that the Bucks are important to the cultural future of the City of Milwaukee. We encourage you to keep spreading that message to your friends and family. So sit back, hope for a great outcome at the May 20th Draft Lottery, and gear up in earnest for the arena debate to come. And if you can make the listening session on March 11th, by all means attend and voice your support for the Bucks’ future here in Milwaukee. This entry was posted in Articles and tagged Bradley Center, Hammes Company, Herb Kohl, Milwaukee Bucks, Rich Kirchen, saveourbucks.com, Senator Kohl on March 10, 2014 by SOB Editor. If the city of Milwaukee builds a new arena, are there any chances the Bradley Center survives and is repurposed? I’m a lifelong Bucks fan who moved to Southern Illinois and have to cheer them on from afar. But I recently met a twelve year old Bucks fan from Illinois who knew as much about the team as any average Milwaukeean. Just goes to show that there is a fan base, all the Bucks need is a good team and the support will start flocking in. Keep the effort up guys!